Very happy with this. Heats up quickly and gives good vapour. Like the digital display and easy to use. This works perfectly, does exactly what it says it will. Nicely made. Feels good in the hand. Choice of ways to use. Try using it with a length of clear tube as a mouthpiece, you'll be amazed how clean it will stay compared to a bong tube. Would prefer heat settings to be 1° increments, with a proper digital display. No guessing what a certain sequence of flashing lights mean. Make it obvious. Hard to tell exactly when it's switched on or off. I also bought an Airis Viva, which lasted no time at all. The nebula one I think is a class act, and because of sensible design, ie, no stupid angled parts that don't fit after a while, this should have a long life. I clean the mesh screen with denture tablets😊. 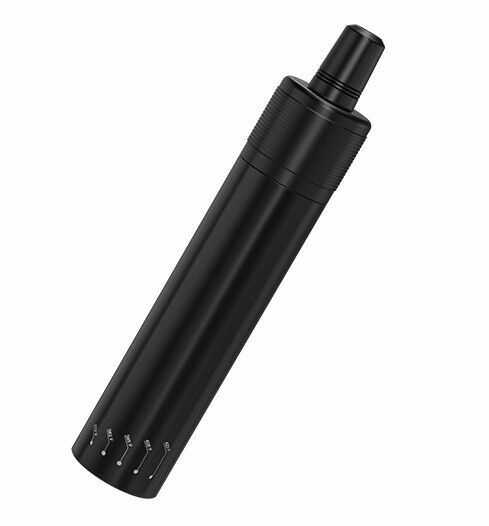 I like it, easy to use and maintain, the disadvantage is the battery. Good portable for the price but if you can afford to purchase the Mighty vaporizer by stores and bickel then that is what you really must get, no comparison to a Nebula X as it blows it away completely.